I have been engaged in graphic design for more than 8 years. I like to create quality things. 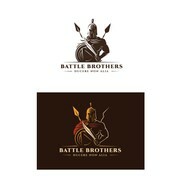 I like clever, clean logo design and sophisticated illustrative style. The design in my portfolio will say more. If you like my design feel free to contact me. "I liked a lot, how placatus adapted the initial graphical idea to the briefing." "Placatus was very flexible and accomplished what I wanted quickly and professionally. " "Designer has been very supportive and did a great job!"